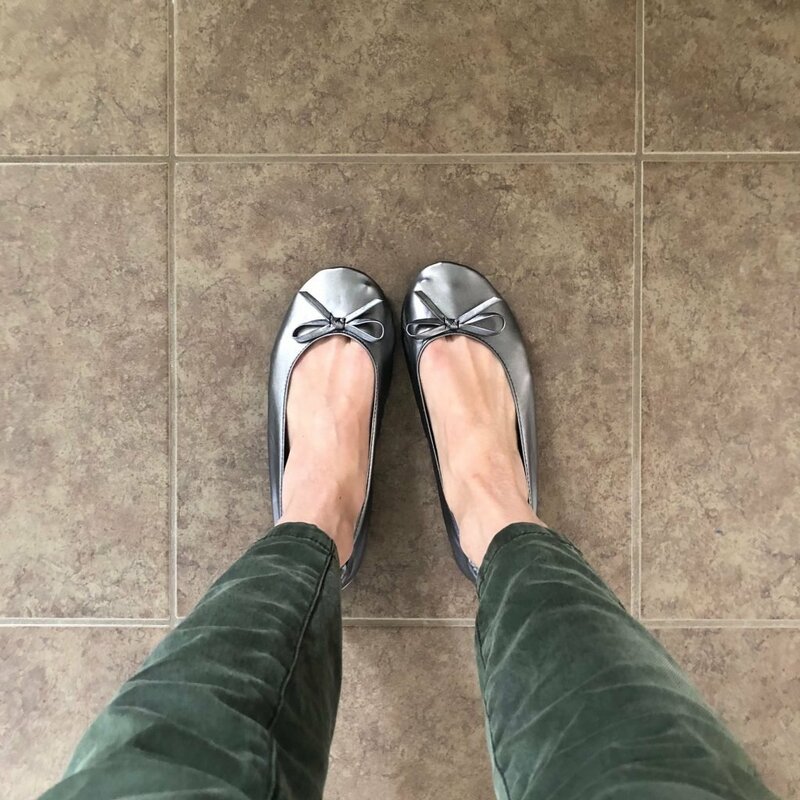 My two most popular blog posts are my Women’s Dress Shoe Roundup and my Affordable Barefoot Shoes Roundup. 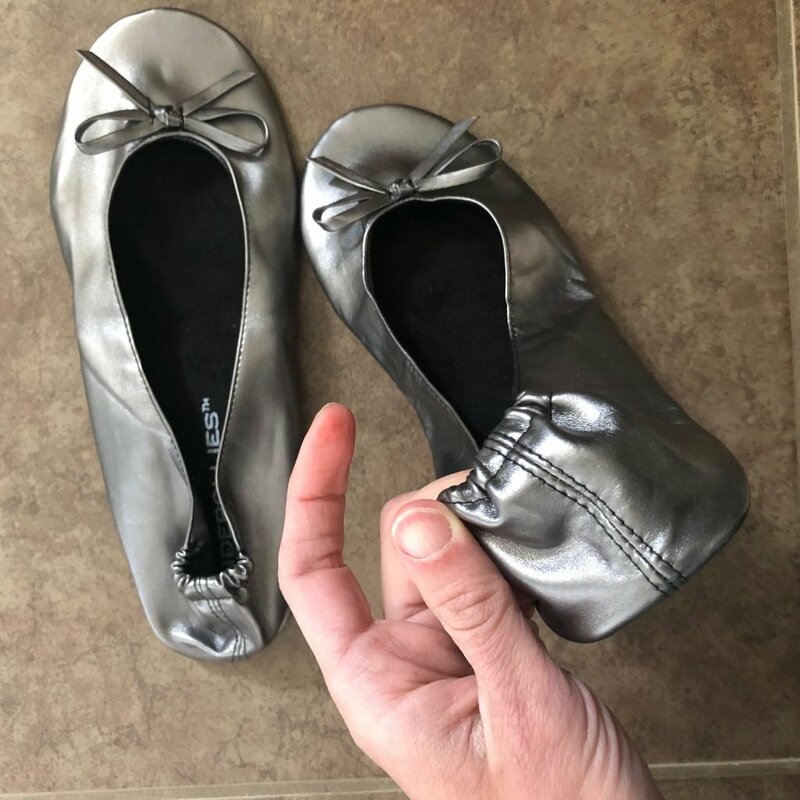 These cute little Cinderollies flats are on both lists! 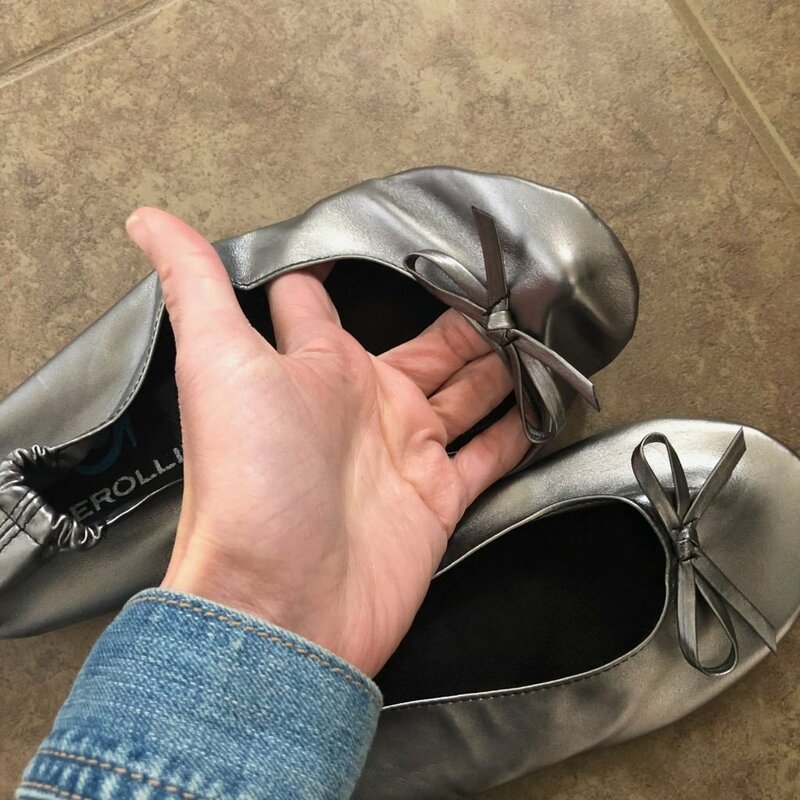 At only $14, these are some of the cheapest women’s dress shoes out there. The shop owner was quick to respond to my questions and shipped these right away. 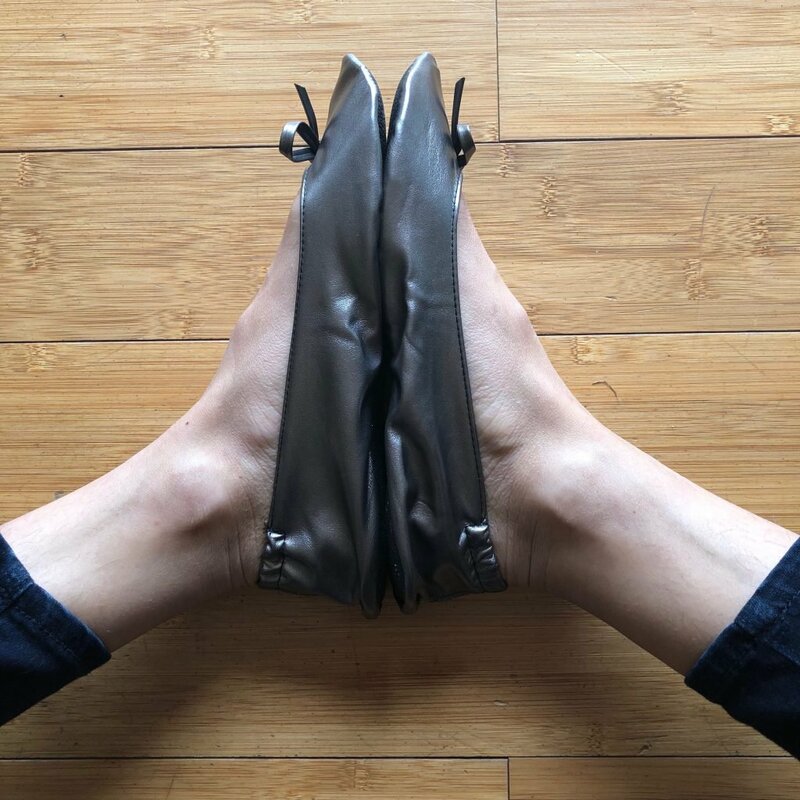 They are very minimal: the sole is extremely thin and the shoe is unstructured. 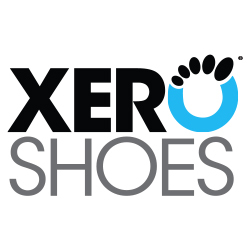 My husband remarked when he saw them that why not just go barefoot if your shoes are that thin? I was like, exactly! These are shoes for people who would be barefoot if they could, but they’re at work or a wedding so they can’t! They are made of a faux leather which has some stretch to it, and comes in a variety of colors and metallics. 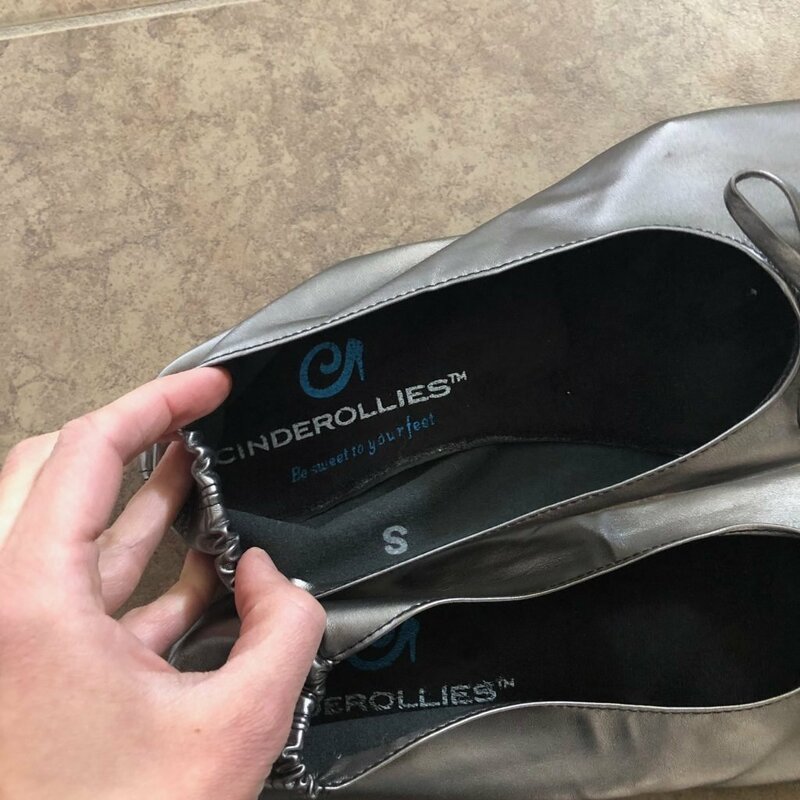 I am not sure they will hold up well to a lot of wear since they are so thin. 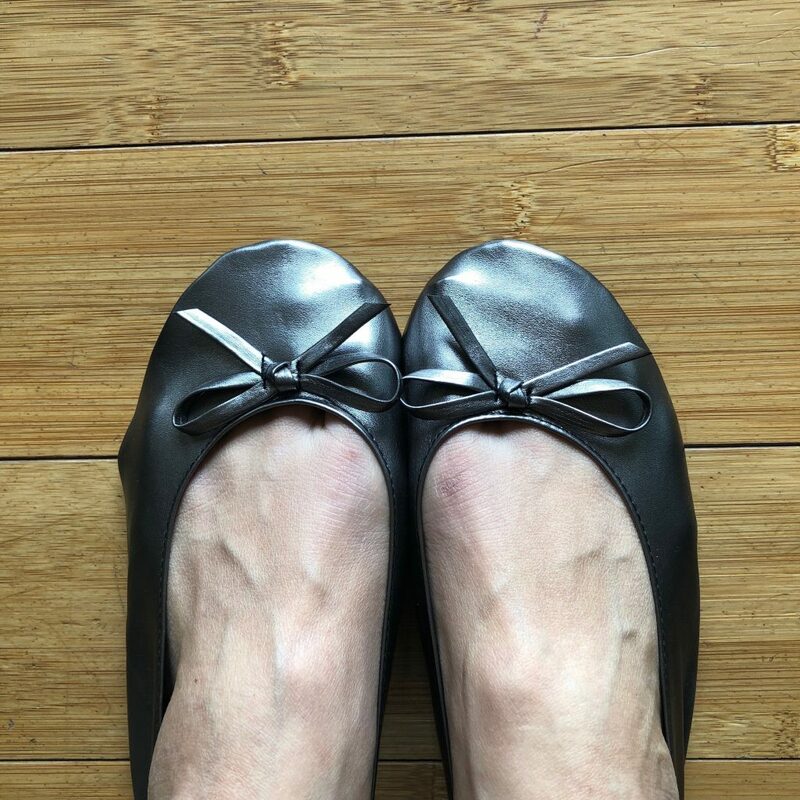 And there is no cushion so they’d be difficult for me to do a lot of walking in, but they will be appropriate for people looking for an affordable shoe for dressy occasions. I am a size 6 and ordered a small. 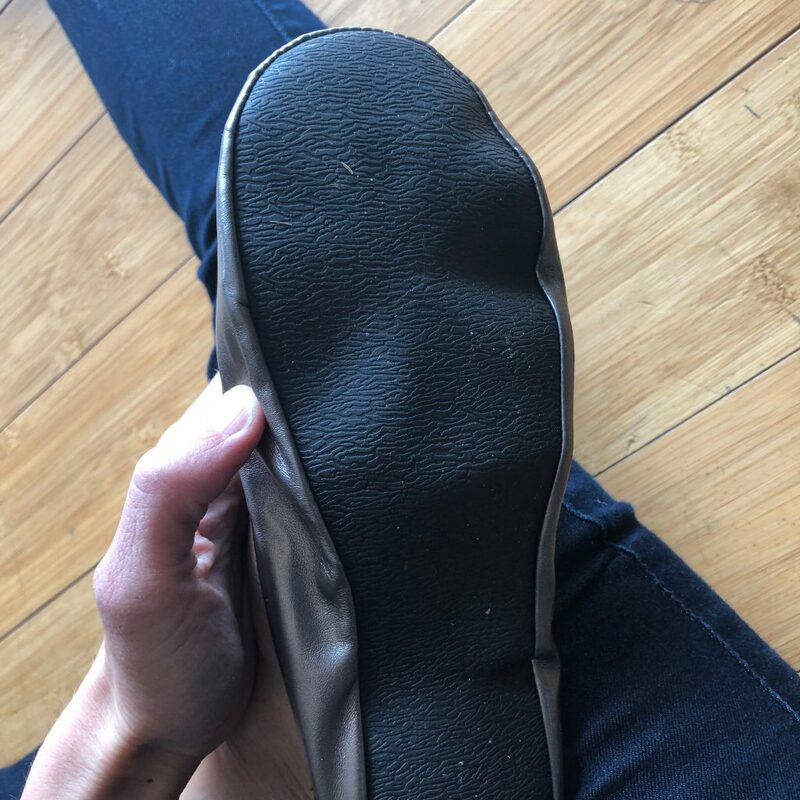 They shoe is a little baggy on me and I find my foot wants to go forward into the front of the shoe. The stretchiness of the material helps, but my toes are a little crammed. They’d stay put better on a wider foot. Again, I wouldn’t want to do a lot of walking in these. 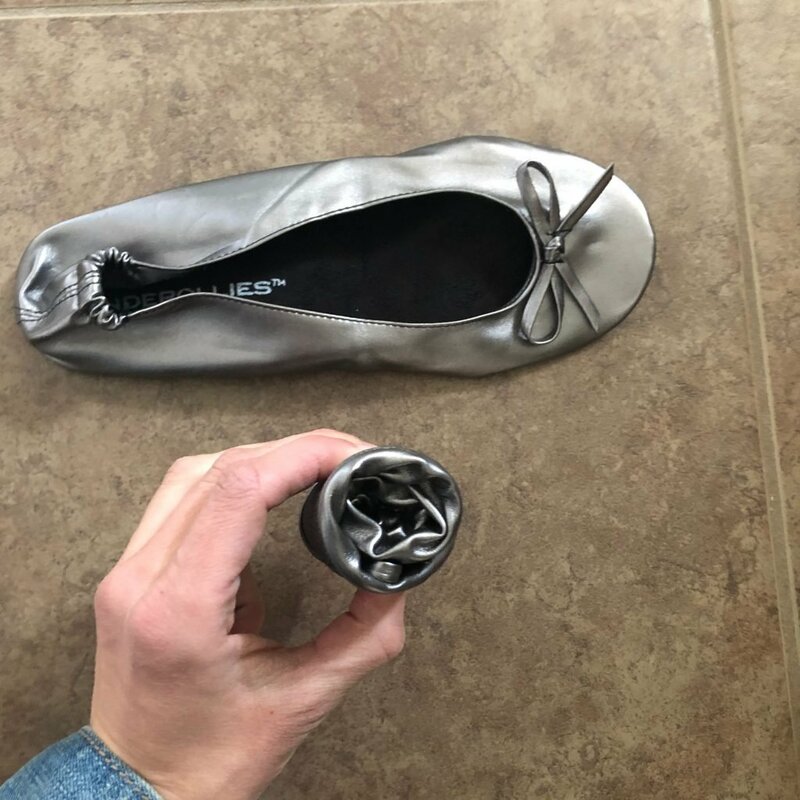 Because these are so thin and rolly they are great for carrying around in your purse or pocket in case you need a shoe change. They come with a little carrying case too. 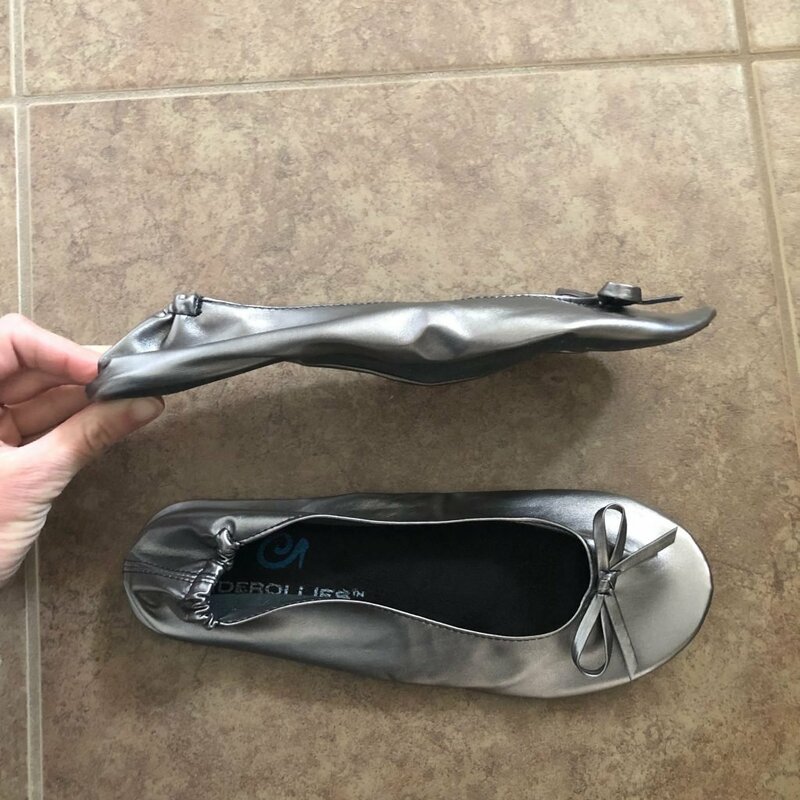 One of my flats came with a deformed bottom and it doesn’t seem to be flattening out. It bubbles up underneath my little toe and I can feel it while wearing the shoes. Not a huge deal for me. In conclusion, these little pretties will be an excellent choice for those of you with occasional dressy events that you don’t want to fork over a lot of money for. They stay true to minimalist standards and are cute and trendy to boot!